Brand: Nielsen-Massey Vanillas, Inc. NMV-85002 Units: 2 oz. 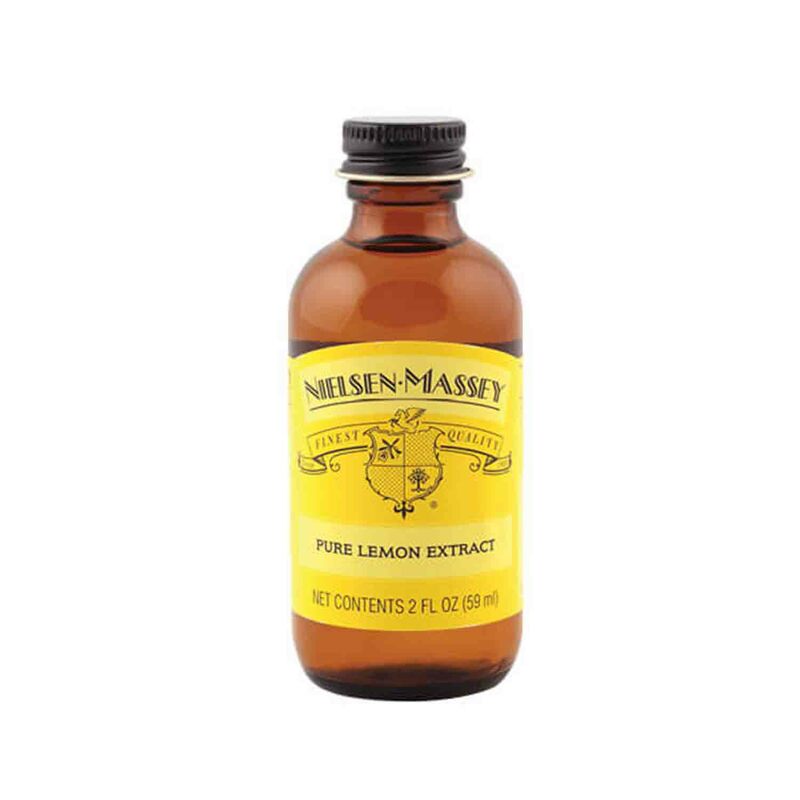 bottle Pure Lemon Extract complements just about any dish! It has a special affinity for vanilla, orange, almond and many other flavors. It’s a natural with fish, pork and chicken and it marries well with a variety of herbs, such as parsley, rosemary, thyme, garlic and basil. Lemon extract can be added to anything from beverages and vegetables to desserts and jellies. Ingredients: Alcohol (90%), Natural Oil of Lemon, Water.